This is Part 42 of a series in which every member of the 2015 Dodgers has his season juxtaposed with an episode of the greatest sitcom of all-time. Don’t take it too seriously. Key stats: .250/.325/.500 in 40 PAs (19 games). Dodgers trade Jose Peraza, Scott Schebler to Reds in three-team deal. Update. The Dodgers traded infielder Jose Peraza, outfielder Scott Schebler and infielder Brandon Dixon to the Cincinnati Reds as part of a three-team trade with the Chicago White Sox. The Dodgers receive three of the White Sox’s better prospects — Frankie Montas, outfielder Trayce Thompson and second baseman Micah Johnson — while Chicago received All-Star third baseman Todd Frazier from the Cincinnati Reds. Update: Andrew Friedman shed some light on the trade and its ramifications. Thompson talked about how he stalled in Double-A and rebounded with some help from his father, former Lakers forward Mychal Thompson. Game 143: Something old, something new, in Dodgers’ win over Rockies. 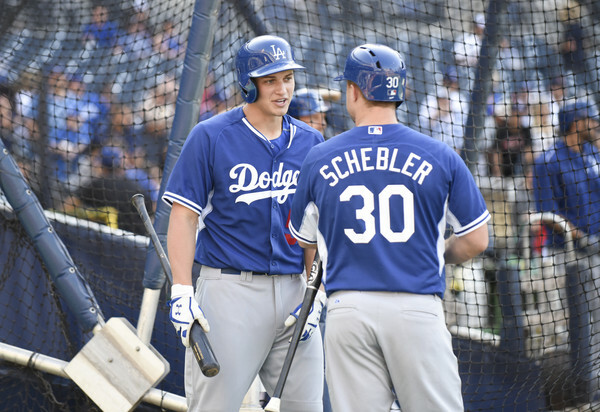 Clayton Kershaw was his usual self, and rookies Scott Schebler and Corey Seager showed unusual poise, in the Dodgers’ 4-1 win over the Rockies. The box score is here. The photo gallery is here. Andre Ethier has quietly been among the Dodgers’ steadiest hitters this season. 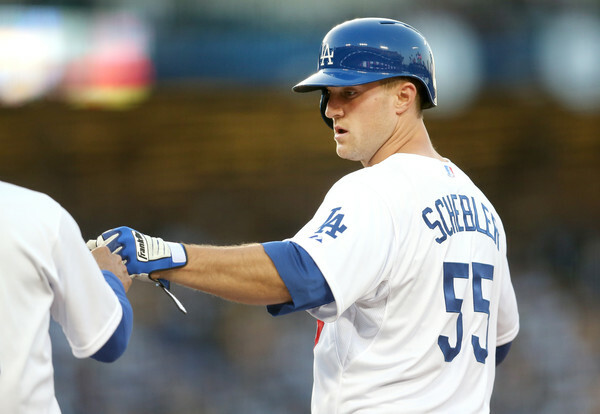 Watch: Dodgers’ Scott Schebler leads off game with solo home run. Justin Ruggiano sent a 3-2 pitch from Andrew Heaney over the Angel Stadium fence to lead off Tuesday’s game. The Dodgers haven’t began two straight games with home runs since Carl Furillo did so against the Chicago Cubs on July 12-13, 1951. 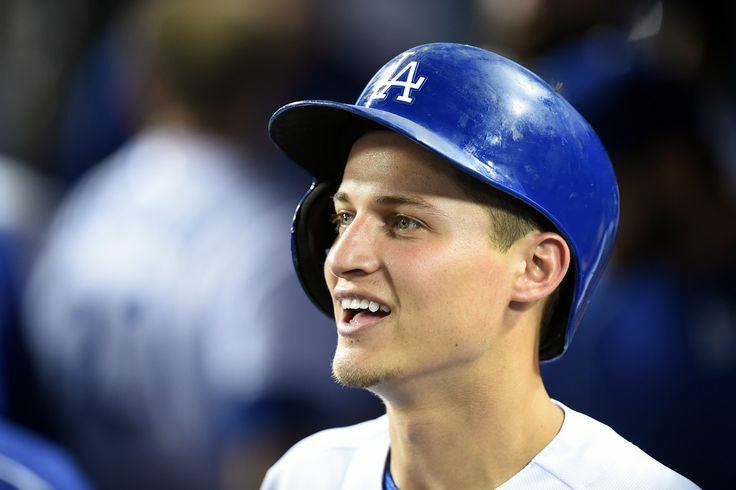 Corey Seager on the Dodgers’ playoff roster? Don Mattingly says jury is still out. SAN DIEGO — Projecting the Dodgers’ 25-man National League Division Series roster is fun but premature. 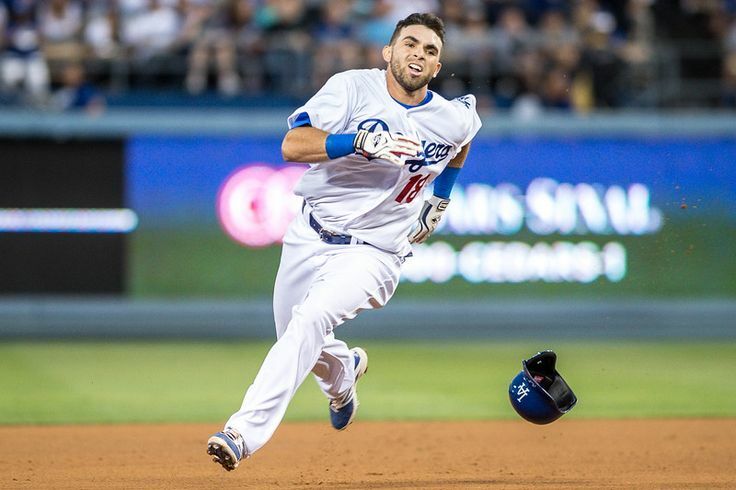 The Dodgers have a 99 percent chance of making the playoffs, but one month offers enough time for injuries to throw a monkey wrench into the whole thought exercise. For 21-year-old infielder Corey Seager, it might take an injury for him to make the postseason roster. Dodgers manager Don Mattingly wouldn’t even concede that point Sunday.